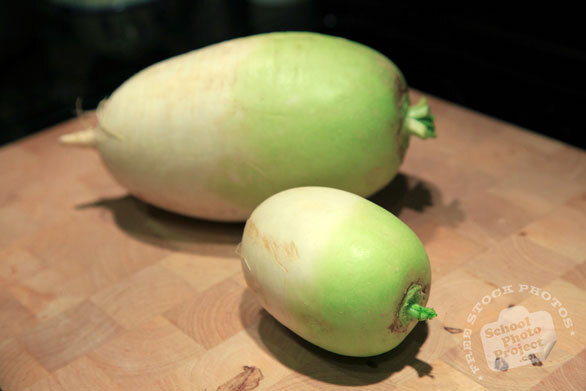 A large (about 6" long) green-tipped Korean radish used in kimchee, salads and other dishes. The radish has a firm crunchy texture. This radish is also found in other Asian countries such as China and Thailand.